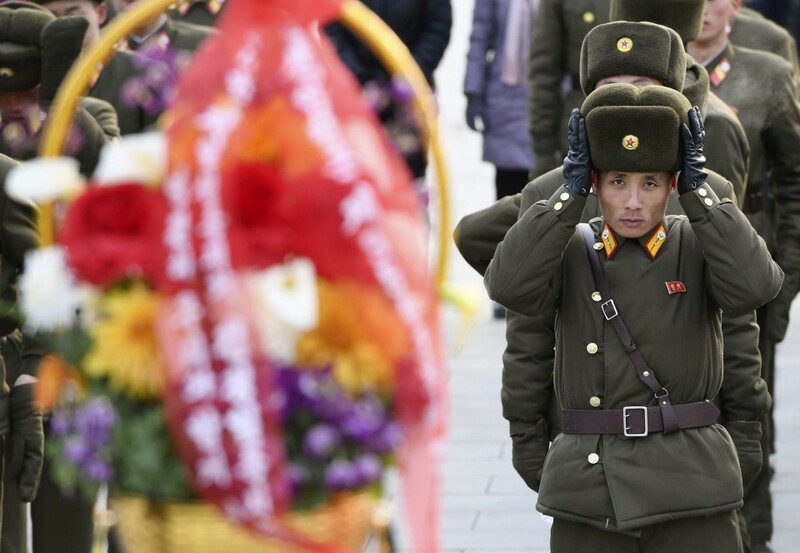 North Korea on Friday marked the anniversary of the founding of the country's army with no military parade, in the run-up to a planned summit between leader Kim Jong Un and U.S. President Donald Trump later this month. On last year's anniversary, North Korea staged a parade in Pyongyang at which it displayed what appeared to be intercontinental ballistic missiles such as its Hwasong-15, seen as capable of delivering a nuclear strike anywhere on the U.S. mainland. But with the Feb. 27-28 summit in Vietnam looming large, North Korea did not hold a military parade this year. The anniversary is a holiday in North Korea. National flags and placards have been placed along the capital's major streets, but political slogans in public spaces made no mention of the nation's ballistic missile and nuclear weapons programs. Later in the day, young people -- the men wearing suits and the women the country's high-waisted, long-skirted traditional dresses under down jackets -- gathered in the city center to dance and celebrate the anniversary in sub-zero weather. "Because we have completed the state nuclear force, we will devote all efforts to economic construction and improvement of people's lives ahead," a 35-year-old government official told Kyodo News. Following an ICBM test on Nov. 29, 2017, when the Hwasong-15 was fired, Kim Jong Un declared North Korea had "finally realized the great historic cause of completing the state nuclear force." It has since suspended ballistic missile tests. In April last year, the ruling Workers' Party of Korea, led by Kim Jong Un, pledged to concentrate more on building a "powerful socialist economy," while promising to discontinue nuclear and ICBM tests. North Korea, meanwhile, has called on the United States to ease international economic sanctions and allow it to receive humanitarian aid from other countries, saying it has already begun to take concrete steps toward denuclearization. On Wednesday, Stephen Biegun, U.S. special representative for North Korea, arrived in Pyongyang for talks about the envisioned summit. One of the focuses of the next Trump-Kim meeting is on whether Washington will accept some of North Korea's requests. North Korea's economy is considered to be sluggish due largely to the international sanctions, aimed at preventing it from developing ballistic missiles and nuclear weapons. The anniversary of the founding of the North Korean army was previously marked on April 25, the day in 1932 when Kim Il Sung launched the first revolutionary army. 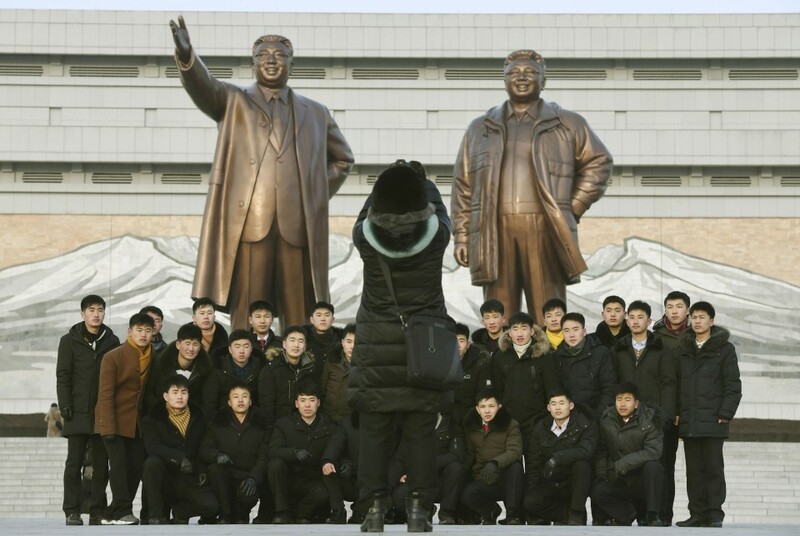 But North Korea said last year that Feb. 8 would be celebrated as the date that the Korean People's Army was founded, as that is the day in 1948 that Kim Il Sung began a transformation that culminated in its establishment.